Out of rolling papers? Got gum? If you answered yes to these questions then you are in business. Rolling joints is easy enough when you have the proper supplies. But all too often we find ourselves in situations where we have one piece of the joint rolling puzzle but not the other. 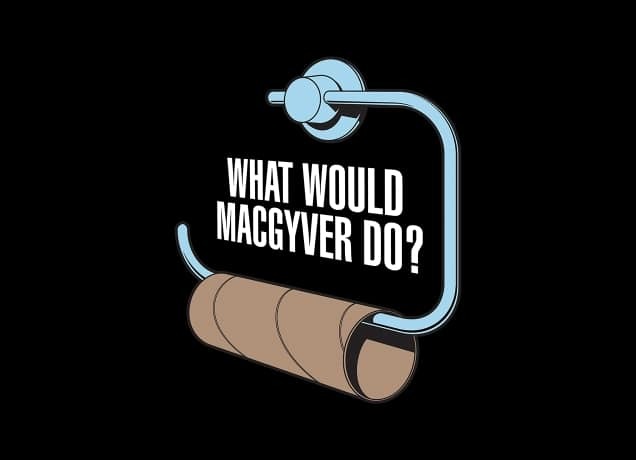 In a moment of desperation, put your MacGyver hat on and make do with what you’ve got by following this method. The following video shows you how you can extract rolling papers from a used gum wrapper. This video uses 5 Gum. What you need to do is take the empty gum wrapper, heat up the colored side with a lighter—but be sure to keep the flame a few inches away from the wrapper. Once you have heated the wrapper, you can begin to easily peel away the colored coating on the paper. According to the video, you can peel the paper apart without heating, but it will take ages. Once you have peeled the papers, you can fill the white paper with whatever you want to smoke. The only problem is that the paper doesn’t have adhesive. The video suggests using honey to create the seal—if you wanted to use THC oil or something of the like, that would be ok too. Seal it up and get on your way to smoking a gum wrapper joint. Are you a resourceful smoker? Let us know what you use for papers when you are in a jam—you can tell us on social media or in the comments section below.